I am excited to be going back to LA in less then a month. I am craving just a little bit of sunshine and some heat. Today I want to share another look from my last visit to LA. I am a huge fan of comfy and cozy sweatshirt and kind of live in them most of the year. 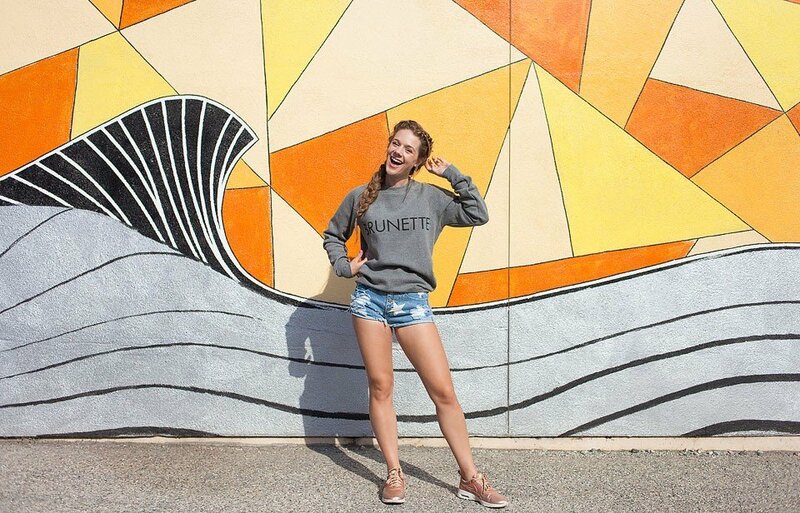 This brunette sweatshirt is perfectly cozy and well I am brunette…so it works! 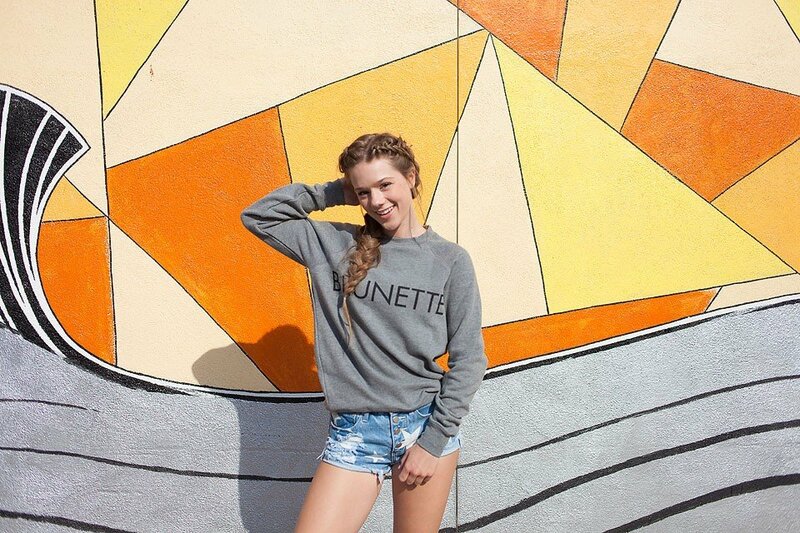 This brunette sweatshirt is perfect for the spring weather. The star print shorts are just super fun and playful and I wear them all the time. Who doesn’t want shorts with stars all over them?! A super special shout-out to Jenny Megenney for these photos. She is the best and I highly recommend her if you are ever in the LA area and looking for a photographer. This mural is at 302 Pico Blvd in Santa Monica. 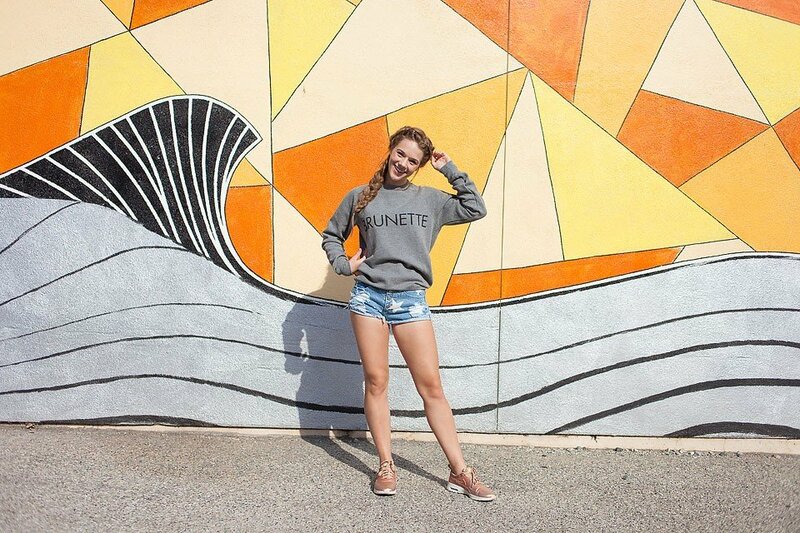 If you are looking for a guide to all the murals in the LA area, check out the one that Jennifer Lake put together on Style Charade.